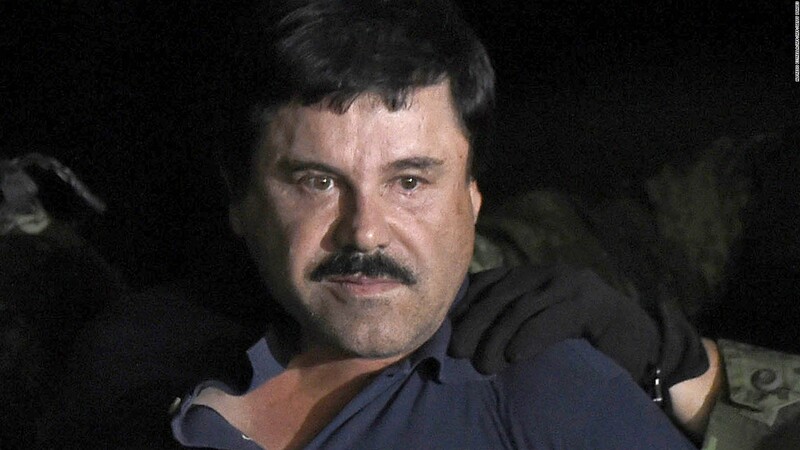 Senator Ted Cruz (R-TX) has introduced a bill called the “El Chapo act” that would use the seized assets from Mexican drug lords like El Chapo to help pay for the border wall between Mexico and the United States. The acronym for the act stands for: Ensuring Lawful Collection of Hidden Assets to Provide Order. It would seem like a very effective use of such assets. The idea: U.S. prosecutors are seeking $14 billion in drug profits and other assets from El Chapo. They also routinely seize the assets of other drug dealers and traffickers. Why it matters: President Trump is trying to figure out how to pay for his border wall, which will require American taxpayers to front the bill, but Republicans aren’t helping at the moment. As reported at FOX News, Heraclio Osorio-Arellanes, the drug cartel member suspected of shooting and murdering U.S. Border Patrol agent Brian Terry in 2010 has been arrested. The low-life was apprehended at a ranch on the border of the Mexican states of Sinaloa and Chihuahua by a joint U.S.-Mexico law enforcement task force that included the Drug Enforcement Administration, U.S. Marshals and the Border Patrol Tactical Unit. 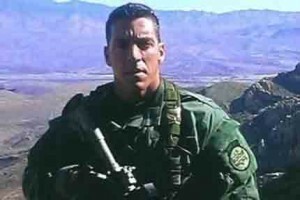 The murder of Brian Terry on December 14, 2010 in a gunfight between Border Patrol agents and members of a five-man cartel “rip crew,” is what exposed “Operation Fast and Furious,” a Bureau of Alcohol, Tobacco, Firearms and Explosives (ATF) operation under the Barack Obama administration in which the federal government allowed criminals to buy guns in Phoenix-area shops. But of course as the liberal MSM and the Obama mouthpieces will tell you, there were no scandals during the Barack Hussein Obama presidency. As Legal Insurrection states, “FINALLY. After seven long years, authorities have arrested the man suspected of pulling the trigger and murdering Border Patrol Agent Brian Terry in December 2010″. Iguala Mayor Jose Luis Abarca and his wife, Maria de los Angeles Pineda were arrested Tuesday morning at a house they had rented in Mexico City’s Iztapalapa neighborhood. The couple is believed to have ordered an attack that killed six people and left 43 students missing in September. The question still remains following the arrest, where are the 43 students who haven’t been seen being taken away by officers after the deadly attack by police in Iguala on September 26? Federal police seized Jose Luis Abarca and his wife, Maria de los Angeles Pineda, in a raid before dawn in Iztapalapa, a working-class neighborhood of the capital. It was a steep fall from their reign of wealth and power as the mayor and first lady of Iguala, a town in southern Guerrero state where the students from a teachers’ college went missing Sept. 26, allegedly at the hands of police and a drug cartel. A Mexican mayor characterized as a “probable mastermind” in the mass abduction of 43 students has been taken into custody as authorities have tracked down a top target who eluded them for weeks — even if they still haven’t managed to locate the missing. Iguala Mayor Jose Luis Abarca and his wife, Maria de los Angeles Pineda — dubbed “the imperial couple” by local media for how they presided over their southern Mexican city — were detained early Tuesday morning at a house they had rented in Mexico City’s Iztapalapa neighborhood. They did not resist arrest, authorities said. The couple had been staying in a house that appeared to be abandoned, and investigators first got suspicious when they saw a woman repeatedly entering and leaving the building, Mexican Attorney General Jesús Murillo Karam told reporters. That woman, Noemí Berumen Rodríguez, was arrested alongside the mayor and his wife. Authorities accused her of concealing the couple. Their capture, which Mexican Federal Police spokesman Jose Ramon Salinas reported on his Twitter account, signals a major milestone in the high-profile case.